The Omaha Alumnae Chapter of Kappa Alpha Theta and Farrell's eXtreme Bodyshaping bring you a KICK-A-THON for CASA! 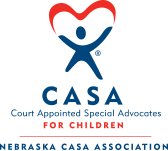 Support our local Douglas County CASA through KICKBOXING! On Saturday, April 27th, we will host SEVEN class times throughout the day (45 minutes each) for the public! This is open to all interested, whether Farrell's students or not, regardless of age or ability! Come join us! Stay tuned to learn who our instructors will be at each class time & hourly RAFFLE PRIZES! Suggested donation of $20/class/person OR $30 for a DAY PASS for the opportunity to attend multiple class times. Donations will be taken at the door.